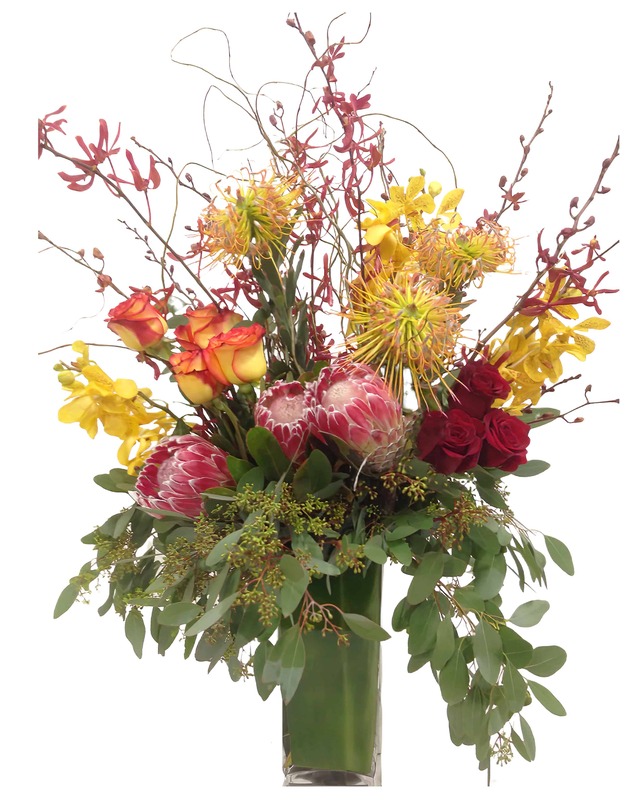 This soaring arrangement highlights some beautiful King Protea in the midst of an array of Orchids, Roses, Curly Willow and various greens. It is a stunning way to add some color to a large empty space! Perfect for the home or office decor and even better to make a statement with someone you love! They sure will not miss this lofty arrangement of beauty and color.